This probate home sales activity report includes probate, trust and conservatorship sales in Santa Clara County in November 2018. Kathleen Daniels, Broker, and Certified Probate Real Estate Agent (CPRES) monitor home sales activity on a monthly basis. This report is comprised of statistical data from November 1, 2018, through November 30, 2018, extracted from our local Multiple Listing Service (“MLS”) as of December 1, 2018. The data in the MLS tells a story. It may not tell the whole story yet when analyzed by Kathleen Daniels, CPRES, the data is telling. Let’s look at the snapshot of the highest and lowest price of homes sold in November. The highest price home sold was a single family home located in Santa Clara 95051. The home has 3 bedrooms, 2 bathrooms, approximately 1,240 square feet of living space on a 6,251 square foot lot. The home is 62 years old. The home listed on September 6, 2018. List price $1,400,000. It was in and out of contract twice. After 2 price reductions, reducing the price to 1,299,950, after 37 days on the market, on November 3, 2018, the MLS reported pending status. On November 27, 2018, it was reported sold. The final sales price reported was $1,300,000. The buyer had conventional financing. The lowest price home sold was a single-family home in Gilroy 95020. It has 4 bedrooms, 2 bathrooms, and approximately 2,150 square feet of living space and a 6,870 square foot lot. The home listed on August 22, 2018. The home was marketed as a “fixer upper” at a list price of $720,000. On September 24, 2018, the price was reduced to $670,000. On October 15, 2018, after being listed on the MLS for 54 days, the status was reported as pending. On November 27, 2018, it was reported sold. The final sales price reported was $610,000. The buyer had conventional financing. What does the MLS data story suggest to you? Our primary focus at NeedProbateHelp is helping estate representatives sell a home in probate and helping a successor trustee sell a home in a trust. When it makes sense to do so, we assist buyers as well. 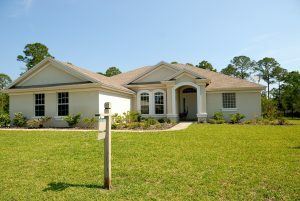 If you are interested in buying a home in probate, visit a showcase of probate sale listings. When buying a house under probate or a home in trust it is important that people hire a real estate agent that understands the probate property sale procedure and has experience selling probate real estate. Experience does make a big difference. Not all real estate agents and certainly not all CPRES agents are created equal. 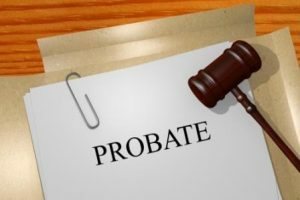 The probate process is a legal process to transfer assets of a deceased person. In most cases, the real estate is the most valuable asset of an estate. 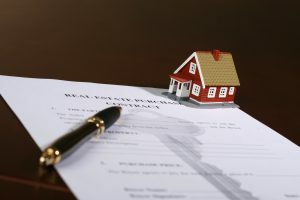 While many aspects of probate sales may be similar to a non-probate sale of real property, a personal representative is well advised to seek a qualified real estate agent to represent them in the sale of a home in probate or trust. We live in a highly specialized world today. Hiring a Certified Probate Agent is just as important as hiring an attorney who specializes in probate. If you need an attorney who specializes in Probate we are happy to recommend one. If you already have an attorney and simply need help with selling property in probate, trust or conservatorship, then give us a call. You may reach us at our office at 408.972.1822 or on Kathleen’s cell at 408.499.8751. If you prefer, you may request a consultation. We’re here to help sell homes in probate, trust or conservatorship.